Each Thursday evening in October, engage in discussion with UNC-Chapel Hill faculty and physicians as they share their insights on the brain from a scientific, medical, and philosophical perspective. Thursday, Oct. 6 | 7-8:30 pm | $10, or the entire series for $30. Students free with an ID, please RSVP to Jill Conrad. What is consciousness and how does it come about? In this lecture, consciousness in the brain will be explored, incorporating ideas from the basic neurosciences, clinical neurosciences, and philosophy. We will review various disorders of consciousness including vegetative state, coma, and brain death. Investigatory tools used to evaluate brain function in health and disease will also be discussed. 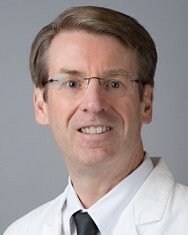 About the Lecturer: Albert Hinn, MD, is a Professor in the Departments of Neurology and Neurosurgery and an Adjunct Associate Professor in the Department of Allied Health Sciences. He specializes in epilepsy and clinical neurophysiology. Learn more about the entire lecture series and view the speaker list. Have questions about this series? Email Jill Conrad or call her at 919-962-2643.